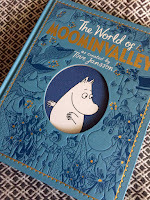 As a book reviewer it is often the case that the publicity and blurb do not fully represent the books to which they are attached, this is definitely the case with the World of Moominvalley. That’s not because the publishers have neglected to take care in the preparation of it, but rather because the book is a treasure that no blurb could possibly do justice to. Philip Ardagh’s book about the much-loved Moomins is a lavish celebration of all things Moominvalley. Everything you ever wanted to know about the Moomins is here, and more, and all with Ardagh’s characteristic warmth and humour. The book opens with a charming introduction from award winning children’s author, Frank Cottrell-Boyce, after which Ardagh takes our hands and leads us into Moominland. 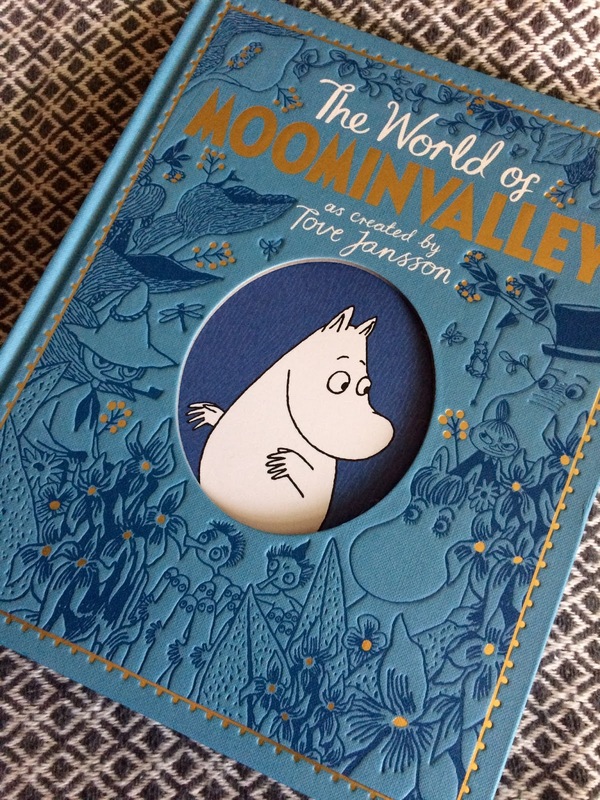 In the opening two-thirds of the book we read about Moomintroll and family, and the world in which they live. The characters all burst off the page with wonderful (and very Jansson-esque) biographies. We meet all of the key characters and read about their habits, their likes and dislikes and everything that makes up the Moominworld. The last section of the book is all about Jansson herself, her world and how she came to write the books. There is even a glimpse inside her studio and a look at her sketch books. All of this is exactly what you’d expect in a book about beloved children’s characters, but this book is so much more. The book is physically beautiful. Starting off with shelf-appeal from an embossed and foiled cover, this continues throughout with hundreds of illustrations and some charming photos of Jansson and her world. It is such a thing of beauty that I simply couldn’t risk not receiving it as a gift at Christmas and had to buy myself a copy! It is a sad fact that books like this can often be style over substance, but with the World of Moominvalley this is absolutely not the case. Beautifully written and presented this is not just a book for Christmas, buy it for yourself, read it and then dip in an and out as a salve to the pressures of the real world. In Moominvalley we can find a place where the gears of the world don’t grind us down but instead lift us to the mountaintops. A little-large place that reminds us that all small beasts should have bows in their tails, and all big animals are not dangerous. Dawn Finch is a children’s author, researcher and librarian who doesn’t need to see the invisible shrews to know that they are there. 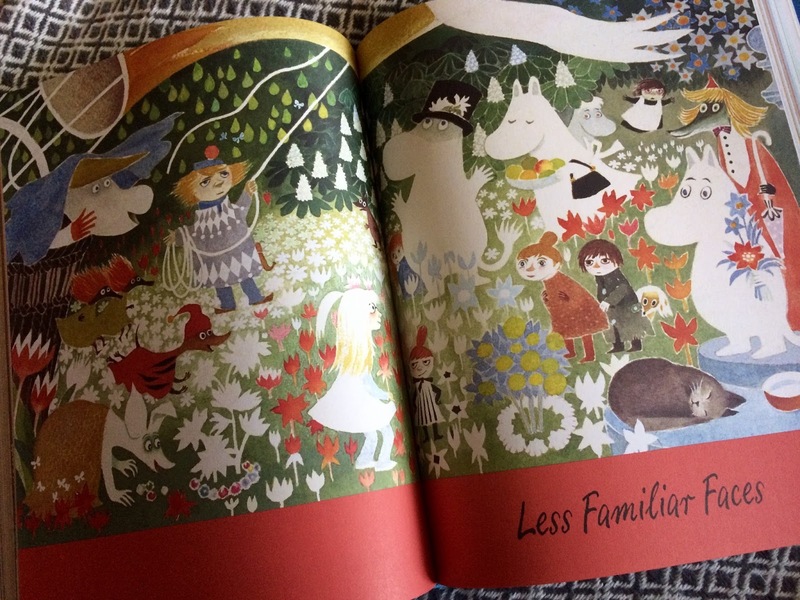 A fine review and appreciation of the Moomin content within! So satisfying when a book more than lives up to your hopes and expectations.